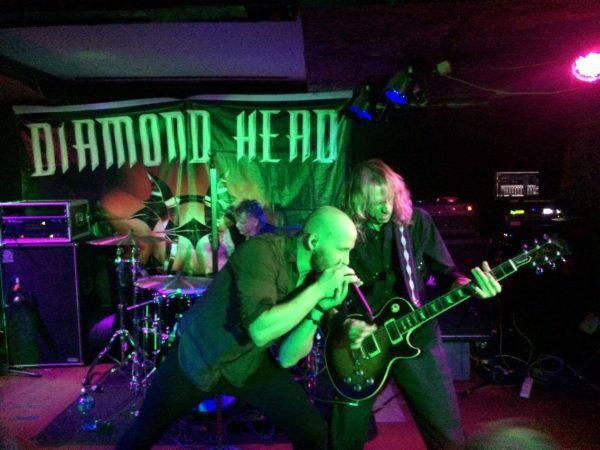 The return of the mighty DIAMOND HEAD to Ireland’s capital is something to get excited about and tonight there is a feeling in the air that is few and far between as hordes of metal fans cram into Dublin’s iconic rock club. 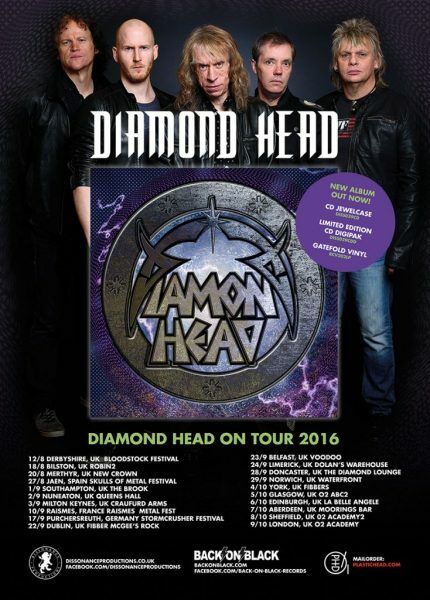 With the self-titled new album proving that not only do Diamond Head have what it takes to give the hairs on the back of your neck a good going over, the band are energised and ready to attack as they take to the stage to a packed house. 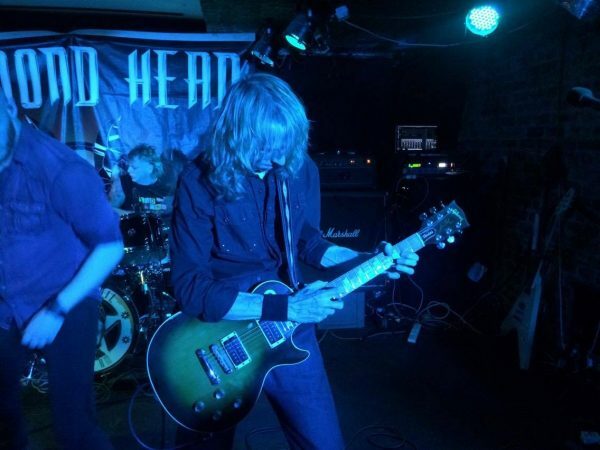 This is grass roots NWOBHM in full force and with new vocalist Rasmus Bom Andersen, injecting a whole new lease of life into the band, Diamond Head have never sounded so good. Opening with ‘Wild on the Streets‘ there are a few technical problems which are soon dealt with before we are served with ‘Lightning to the Nations‘. 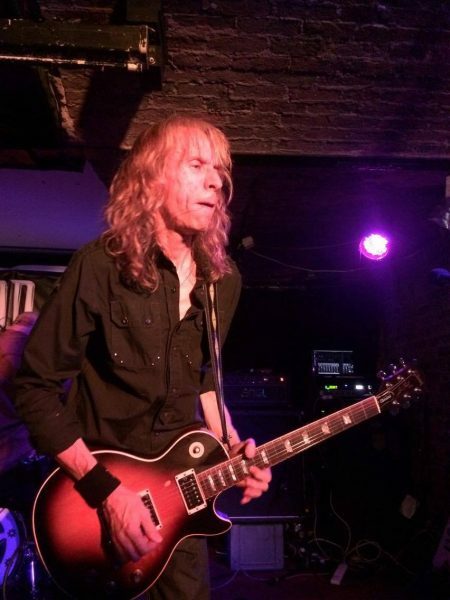 Brain Tatler holds court to the right of the stage, unleashing a plethora of riffs that are literally drenched with NWOBHM style DNA. The no security aspect of Fibber Magees goes well for band and punters tonight as it’s evident each member is beyond thrilled to finally be kicking off this headline tour tonight. With a tight setlist consisting of a few tracks from the fantastic new album, Diamond Head waste no time in taking captive of the audience with a selection of old and new bangers such as the awesome ‘Diamonds‘ and Metallica endorsed classics such as ‘Helpless‘ and ‘The Prince‘ which pushes the level of excitement over the edge and causes many pints to either go skyward or hit the already drenched ground. It’s impossible to fault tonight’s performance as the band work as a tight and impressive unit. Anderson’s vocals are simply fantastic and seem to get better with each track. His chemistry with Tatler is evident to see from the first moment the band took to the stage, however as they work up a sweat under the punishing stage lights, it’s apparent that a very close friendship has been formed between the two. Karl Wilcox’s drumming ability shines through the entire performance as he set’s the pace with a solid backup from Dean Ashton (bass) giving the much-needed support for Tatler’s tasty solo’s, which are executed from the lip of the stage literally millimetres from the crowd. The contrast of new tracks such as ‘Shout at the Devil‘ fit perfectly alongside ‘Sucking My Love‘ from 91’s ‘Behold The Beginning‘ release. The obligatory ‘Am I Evil‘ generates an entire chorus from the back of Fibber’s to the front of the now sweaty pit that dominates the front of the stage.